In the early 1900s, desperate American women wrote letters to the founder of Planned Parenthood begging for help with unwanted pregnancies. A century later, they’re sending eerily similar messages to an international abortion-by-mail service. Both of these pleas come from American women—both of them pregnant against their will, with few options, and fearing for their lives and safety. The first was written in 1917 and published in Birth Control Review, a twentieth-century magazine devoted to extolling the virtues of contraception. The second was written almost a full century later. It’s one of countless frantic emails sent by American women to Women on Web, an abortion-by-mail service located in the Netherlands. But conservative politicians have worked tirelessly to attack and undermine these rights in recent years—passing legislation that shuttered hundreds of abortion providers throughout the South and Midwest, preventing low-income women from being able to afford abortion care, attempting to make contraception as expensive as possible, and waging constant legislative battleon Planned Parenthood. As a result, the right to choose is a right in name only for many women throughout the US, poor women and women of color in particular. Birth Control Review, published between 1917 and 1940, was edited by Planned Parenthood founder Margaret Sanger. Though she was openly opposed to abortion, Sanger would regularly print heart-wrenching correspondences from women suffering from unintended and unwanted pregnancies who thought she might be able to help them. Her goal in doing publishing these—which she referred to using epithets like “Letters from Harassed Mothers” and “Letters Showing the Dilemma Faced by Many Mothers”—was to highlight the moral imperative of legalizing birth control, which, she argued, could prevent such pregnancies and decrease the number of illegal abortions in the country. Women on Web has provided Broadly with several of the emails they’ve recently received from American women. The similarities between these and the letters published in Birth Control Review are striking: The women in both groups often go into great lengths describing how dire their situations are, and they typically outline their reasons for needing abortion in detail. Though the forces causing their distress have changed, the tone of the letters has remained fairly constant through the years, suffused with the desperate pragmatism of someone for whom the last resort is the only option. As Leslie Regan argues in When Abortion Was a Crime, a landmark survey of the history of abortion law in the US, for the vast majority of the women writing into Birth Control Review, “abortion was not associated with personal freedom, but with family needs.” The same, generally, can be said of the women contacting Women on Web in recent years. Though the decision to terminate a pregnancy is typically framed as a choice, it is often one born of several constraints: Nearly half of abortion patients are below the federal poverty level, and 59 percent have had at least one previous birth. 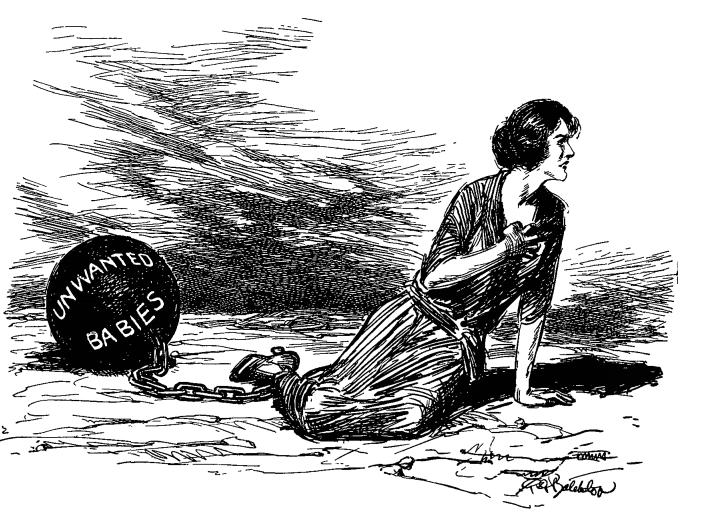 During the first half of the 1900s, women contacted Sanger with similar concerns; many wondered how they’d be able to afford to feed more children and worried that their existing family members would suffer if they were forced to carry another pregnancy to term. “I would like to see my children have some education, but if we get some more it will be impossible,” wrote one woman, in a letter printed in 1918. Another woman, writing in 1925, said she had five children. The youngest of these was just a few months old, and the mother was still recovering from that delivery. Another woman, living in Michigan, wrote that she felt “alone and helpless.” She is disabled, she added, “only able to walk short distances” and surviving off disability payments; over a dozen abortion clinics in the state have closed in the past few years, and she worried about her ability to drive several hours to reach the nearest provider. 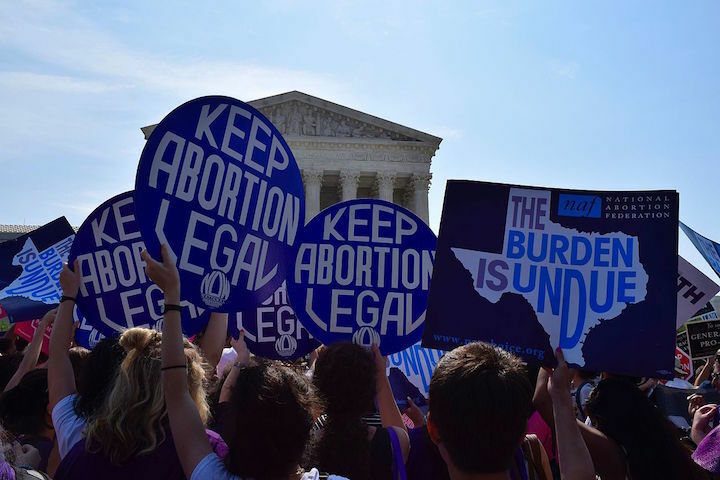 Copious research shows that restricting access to abortion doesn’t make it any less frequent; it just makes it more likely that women will seek out unsafe, illegal methods. Despite a century of tireless fighting for reproductive justice, this is still a reality for as many as hundreds of thousands of women in America. Though abortion and contraception are no longer banned outright, conservative legislators have worked with alarming efficacy to ensure that both of these things are essentially inaccessible for the most marginalized groups in our country. I’m feeling desperate and alone, and I know that time is of the essence. Please… is there anything you can do to help? Several decades later, someone emailed Women on Web, describing her own regimen. “I tried taking parsley and vitamin C at 10 weeks, added dong quai and black cohosh a week later, trying an herbal abortion. It didn’t work,” she said. “I started punching myself in the stomach repeatedly for two days.” That didn’t work, either. She wondered what options she had left. Since the dawn of the reproductive rights movement, advocates have argued that forcing unwilling women into motherhood is dehumanizing, unconscionable, and unjust. In 1923, a woman from California described the effects of this type of reproductive oppression as she witnessed them on her own mother. Once “a person of refinement and culture,” her mother, who had given birth nine times by the age of 45, had been reduced to “a human breeding machine,” she said. Even after a century of progress, politicians are still trying to push policies that only recognize pregnant women as “hosts,” as ambulatory wombs, as breeding machines. At what point will women be able to know with certainty—rather than just “feeling like”—their bodies are their own?